A new report from the Prison Policy Initiative shows that the populations of local jails are swelling for reasons that have little to do with crime. It’s impossible to discuss reducing incarceration without acknowledging that the bulk of imprisonment happens in local jails. Federal penitentiary rates have dropped since peaking in 2009—though, under Attorney General Jeff Sessions, that may soon change. State prison rates have come down “modestly” overall, reports the Sentencing Project, and some states can boast double-digit decreases since the turn of the century. City and county jails, meanwhile, have been bloating. Roughly two-thirds of states have seen jail populations at least double since 1983—a dozen have seen jail populations triple. 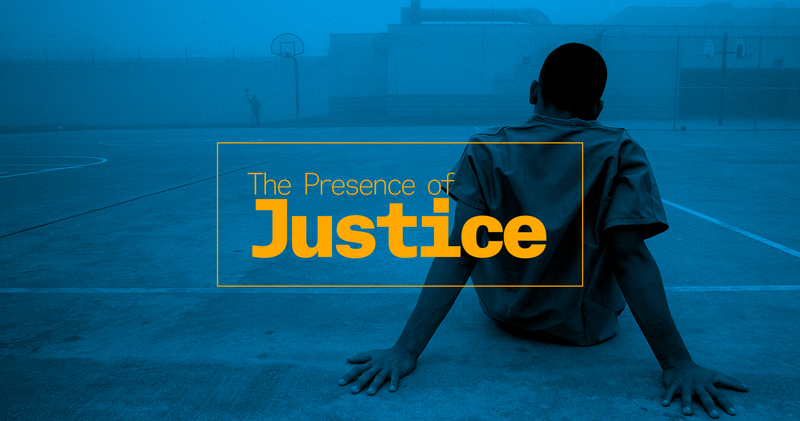 A new report from the Prison Policy Initiative (PPI) examines the reasons behind this explosive growth. Perhaps unsurprisingly, it’s not driven by crime. Crime rates nationwide have dropped over the past few decades, as have conviction rates in court. So then why do jails keep swelling? It basically comes down to two things, according to PPI: The number of people detained for pretrial purposes has been escalating, and federal and state authorities have been increasingly using local jails to house their inmates as well. These two sets of circumstances cover the bulk of people sitting in jail cells in the majority of states. Only half* of those jailed locally are there because they’ve actually been convicted of a crime, reads the report. This phenomenon is most visible in Louisiana, where the state has largely outsourced the construction and operation of state prisons to individual parish sheriffs. Just over half (52%) of the state’s prison population is housed under contract with local jails; and as a result two-thirds (67%) of the people held in Louisiana jails are not “traditional jail inmates.” Unlike other states, Louisiana’s jail building boom appears to have been entirely fueled by the pursuit of contracts with the state’s prison system. Attorney General Sessions’ call to aggressively ramp up prosecutions of drug and immigration law violations will most certainly help to keep driving that growth. The report notes that Immigration and Customs Enforcement rents out roughly 15,700 jail cells annually to detain people who may be facing deportation—again, people who’ve not yet been convicted of crimes, only suspected. The U.S. Marshals Service rents another 26,200 cells from local jails. Even many of those jailed for actual criminal convictions have likely landed there because of failures in the health care system or because other safety nets have given out. The report finds that 65 percent of those incarcerated in jails have diagnosable substance abuse disorders, while another 15.3 percent of those jailed report being homeless. To empty those jails, PPI recommends that states create treatment-based diversion programs for low-level drug offenders, so that they can truly get rehabilitation rather than punishment. But states will have a difficult time funding that, given that President Trump has called for hundreds of millions in dollars in budget cuts for drug prevention and substance abuse treatment grants for states. Another recommendation: Cities and states can set up programs to help people navigate the laborious criminal justice system rules and schedules once they’re arrested and detained for a crime. The reports also calls for judges to move away from cash bail and court-fine based sanctions that keep people in jail before they’ve been found guilty of anything. Pre-trial detention is often exacerbated and stretched longer than needed because people can’t make bail, post bonds, or because they’ve missed court dates, summons, or have misread court instructions. The city of St. Louis has tried to address these problems by launching a new web application, YourStLouisCourts, which helps people keep track of tickets, court documents, and sends text reminders about upcoming court dates. As for the cash bail system, which has historically kept otherwise poor people in jail for little other reason than being poor, cities and states just might be forced to transition away from this process. On May 18, the Southern Poverty Law Center and the ACLU filed a lawsuit against Randolph County, Alabama, on behalf of a pregnant woman who was locked up because she couldn’t make the $7,500 bail imposed after accused of forging a $75 check. The aim of the lawsuit is to have the county stop wealth-based detention practices altogether. Prior to the law, judges, who were acting in good faith, had little information beyond a computer record of prior criminal activity and the nature of the offense to use as the basis for determining the amount of bail. Now Superior Court judges almost immediately—in no more than 48 hours, even on weekends—will make release or detention decisions, not in a vacuum but with the recommendation of trained pretrial services employees who prepare a "Public Safety Assessment," an arresting police officer's "Preliminary Law Enforcement Incident Report," and an affidavit of probable cause. The goal is to release a defendant with the least restrictive conditions without any sacrifice to public safety. New York City has been aggressively pursuing bail reforms to help indigent defendants as well. If these local trends hold, perhaps then the U.S. will finally put a significant dent in its mass incarceration problem by hitting it where it counts the most. *CORRECTION: This post previously stated that one-third of jail inmates had not been convicted of any crime.